Economic and industrial data released today by the Chinese government’s statistical agency indicates the country’s carbon emissions likely fell by around 3% — with the contraction of key heavy industry sectors and the continued expansion of renewable energies driving a wedge between total energy demand and coal use. According to the data, China’s coal output fell by 3.5% in 2015, thermal power generation by 3%, coal imports by 30%, pig iron output by 4%, coking coal output by 7%, and cement by 5%. All this suggests that both power sector coal consumption and total coal consumption probably fell by more than 4%. Total oil consumption grew only 1.1% in the first eleven months, gas consumption by 3.7% while cement production (which releases CO2 directly) fell by 4.9%. This indicates a fall of 3-4% in China’s fossil CO2 emissions, roughly equal to Poland’s total emissions. Shrinking heavy industry — Nobody knows for sure how much China’s economy grew in 2015, but what seems clear is that heavy industry declined while services and private consumption grew significantly. In response to the global financial crisis, China created the largest credit boom the world has ever seen, which ultimately led to the massive energy overcapacity and rapidly growing debt that are now weighing down on the economy. Booming renewable energy generation — China was able to reduce fossil fuel fired power generation by 3% while overall power demand increased 0.5% by adding 30GW of wind power and 17GW of solar capacity, a new world record for any country ever. Airpocalypse — The war on pollution continued to impact industry, and it’s reasonable to expected that action will be amplified following the horrendous air pollution episodes Beijing experienced this winter. This new economic reality is not without challenges: the fight between dirty and clean power for space on the grid has only gotten worse as coal overcapacity continues to grow. Meanwhile the debate over whether China’s high polluting industrial sectors would return to growth was essentially settled last year: They won’t. The economic bulls and bears are now divided on whether the service sector and high-end manufacturing can fill the gap left by shrinking state-owned heavy industry sectors or whether the economy is headed for an outright stagnation. 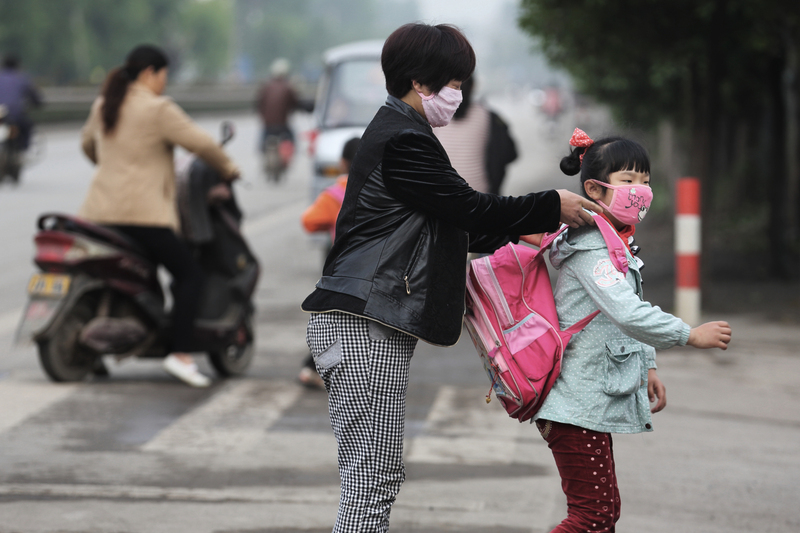 Though the difference between these two scenarios would have significant consequences for China’s citizens, carbon emissions are likely to fall in either case since they come almost entirely from heavy manufacturing. The key drivers mentioned above will only intensify in 2016 — last year was just the beginning. A lot of heavy industry companies have continued to operate despite lack of market demand and making losses. Allowing these ‘zombie’ operations to wind down, termed ‘supply-side reform’ and ‘overcapacity reduction’ in Chinese political jargon, is the number one economic policy goal for the coming year, and an inevitability in any case. Similarly, the growth in public and corporate debt continued to far outpace economic growth in 2015 as the government tried to stimulate the economy through credit expansion. This is clearly an unsustainable trend, and as China begins to deleverage its debt – another key policy goal set in the Economic Work Conference in December -energy intensive investment spending will fall further and reduce energy demand. Basically, China’s CO2 emissions are still on track to to peak and decline well ahead of the government’s official targets and projections. Another promising sign for the historic Paris climate agreement finalised late last year. Remember this time last year when we revealed how much China’s coal use fell?